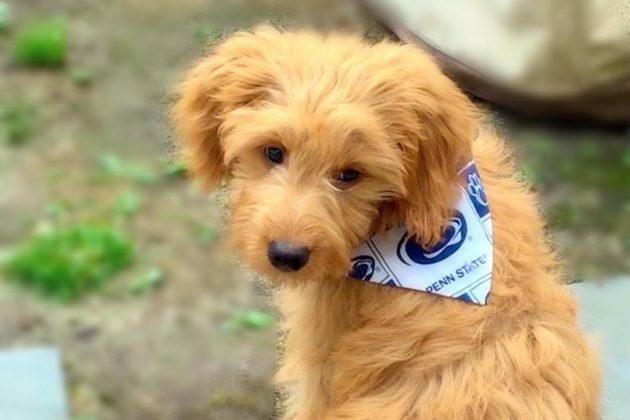 This week’s Arlington Pet of the Week is Wilson, a 15-week-old goldendoodle puppy. 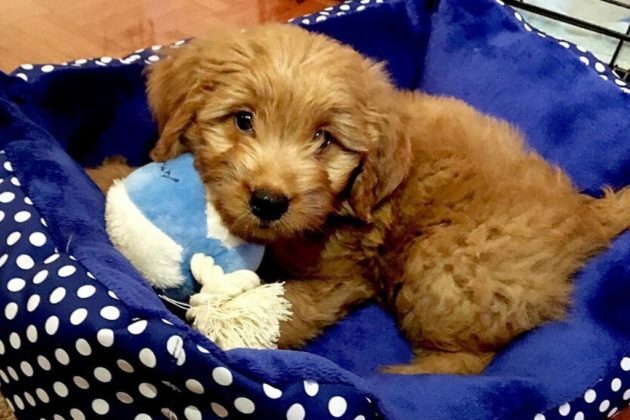 My husband and I recently expanded our family to now include our mini goldendoodle puppy, Wilson. 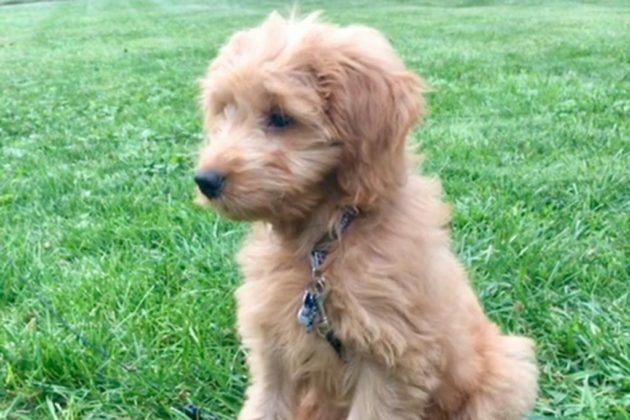 Wilson is 15 weeks old and is a mix of a golden retriever and a mini poodle, although Wilson inherited more of the looks of his mom, with the straight golden retriever hair. 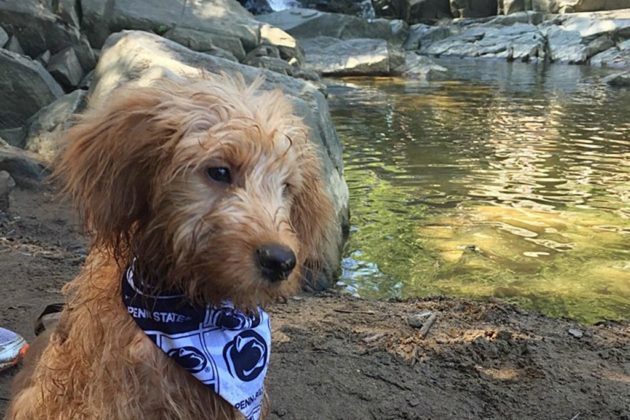 Wilson’s favorite experience so far has been hiking in Scott’s Run Nature Preserve last week. He loved the water! We love showing Wilson around our hometown of Arlington and have been pleasantly surprised by the amount of attention he gets when we go for walks!